Harcourts Ballarat have redefined the role of the real estate company- from a simple sales focus to the expert marketing and negotiating capability today's sellers require. No two properties are the same- so each marketing proposal must be specifically tailored. In an increasingly fast-paced world, we know that while people want the most professional efficient service, they still prize the fundamentals of honesty and integrity from real estate consultants committed to achieving their client goals. That's why at Harcourts Ballarat we combine world renowned technology, training and systems with a focus on establishing trust and respect with our clients who always remain at the centre of the process during any real estate transaction. Through our enormous office network both Australia wide and internationally; we are delivering more buyers to you, which creates a competitive market place, achieving higher prices for your real estate. Harcourts Ballarat putting the focus on GLOBAL, NATIONAL, LOCAL and most importantly YOU ! An accomplished & award winning Auctioneer with over 15 years of industry experience, Jason is a key member of the team at Harcourts Ballarat whilst also managing and operating Harcourts' Creswick office. Jason has successfully negotiated many residential property sales during this time, servicing the needs of a wide variety of clients – right up to the most prestigious properties on Wendouree Parade. Jason has sold over 75 million dollars in property in the just the last 4 years. 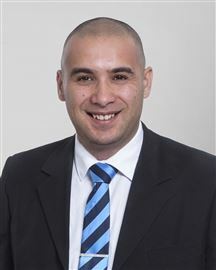 A fully licensed estate agent, Jason’s knowledge and expertise ensure his clients receive the best real estate advice, further complementing his renowned customer service. As testament to this commitment, Jason has a broad base of long term clients and has been recognised for his ability and determination to achieve such high results, having been recognised throughout the state for his sales achievements. In the last 12 months Jason has been awarded no.2 Sales Agent in the entire Harcourts network across the state, which he is very proud of. Jason considers his relationship with his clients as the key to achieving outstanding results – “Clients need to be assured that they are dealing with someone that they can trust, and I feel that I provide a service that has my clients at ease and involved with the decision-making process”. We are supremely confident that, with Jason, you will have a Real Estate experience to remember for all the right reasons. Jason is married to Elizabeth who is a professional entertainer, and although Jason has no formal training, he can still deliver a fine tune and a dance routine to the envy of his colleagues at Harcourts Ballarat! Peter was born and raised in Ballarat and has been involved in many local clubs and charity groups during his adult life. His education at Ballarat Grammar was fundamental to the formation of his beliefs and values, and largely why he takes his commitment of providing support and assistance to the wider Ballarat community very seriously. He considers Ballarat a simply Great Place to Live. A qualified Hairdresser, Peter owned and operated his successful salon for twenty years before making the transition into real estate as a Sales Agent for then named Cosgrave Real Estate, notching up 5 years of selling experience from 2006 - 2010. After a very successful foray into the motor vehicle industry being heavily involved in the establishment of a major German manufacturer in the Ballarat market, Peter has now returned to his passion which is the Real Estate Industry, but in the role of General Manager as he leads a team of 12 successful Harcourts Agents in their quest to achieve outstanding results and gain Number 1 market share in the local area. In his words, he ‘feels like I have come home’. Over the last 10 years Peter has been enthusiastically involved in the acquisition and subsequent development & sales of a large Residential Land Subdivision on the fringe of Ballarat. He has bought and sold numerous investment properties along with his wife Brenda and together, they have operated several local Bed & Breakfast businesses for tourists and short term visitors to Ballarat. Peter is passionate about this industry and understands the expectations of service that go along with it extremely well. 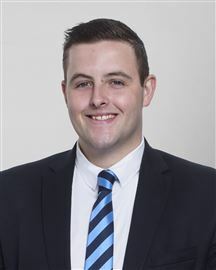 He is also passionate about the Harcourts Brand and will work closely with the Harcourts Ballarat Sales Team and the massive Harcourts network to assist and implement new and challenging systems & procedures that will take the Harcourts Ballarat Office to a new level of professionalism and client services. Weekends for Peter are often spent down on the coast at Ocean Grove, where he and his wife Brenda, along with young adult children Madelyn & George & grandchild Harry, escape to their peaceful holiday home to relax and unwind. Considering his love for boating and the accessibility of the newly developed Queenscliff Marina, Peter jumps at the opportunity to venture out into Port Phillip Bay with friends on board whenever the weather conditions permit! And if he’s not on the water, he’s in the kitchen trying out new culinary delights! 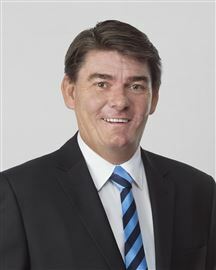 Peter strongly believes that the business will only be as successful as the Team it is made up of, and furthermore, is adamant that his current team is the Best group of individuals that Ballarat has ever witnessed within the same office & he is looking forward to the exciting results that they are capable of achieving. Born and bred in the Ballarat region, Tim has a great appreciation & understanding of the town and the benefits that living in Ballarat provides. After nearly a decade in the agriculture industry he is now pursuing his passion for real estate with the best team in Ballarat, Harcourts. Having personally been involved in the purchase and sale of properties, he understands exactly, the needs that both buyers and sellers have and their expectations of their Agent. He will do everything possible to accommodate these needs, resulting in a well informed and hassle free experience for all parties. Tim encompasses exceptional customer service and people skills, especially when it comes to closing a sale and getting his vendors the best possible price for their properties! Tim’s background in Agriculture has given him a depth of knowledge and experience within the rural sector which provides a good understanding of the requirements of potential buyers and sellers in the rural market. His fresh approach and great work ethic is sure to impress. In his valuable personal time, Tim enjoys his current challenge of renovating his home, in between regularly visiting the Gym and enjoying the odd footy game telecast on the big screen! There are very few experienced real estate consultants that can proclaim to be Ballarat Born and bred and have a vast knowledge of the ever changing landscape that Ballarat has. Boasting a long history in Ballarat, Andy was previously part of the well known family curtain and blind business; Tunbridge's. Having developed strong sales and negotiation skills through his 16 years in the family business and high level selling with Sensis Australia, Andy prides himself on achieving not only great results for his clients but an enjoyable experience in what can be a stressful process. Andy is committed to good strong communication skills to keep both parties informed through the whole process. Andy is well connected through Ballarat being involved in Rotary and his former school, Ballarat Grammar. Andy is dedicated to ensuring that his clients receive the full advantages that Harcourts Ballarat offers unlike any other agency. A genuine, down to earth guy, you won’t find Andy leading you up the garden path as what you see is the person you get. Having a passion for property, he also loves relaxing at home with his family and pets. Born and raised in Ballarat, Christine now lives in Alfredton with her husband and their three children. Christine comes with an expansive business and social network through her husband’s family well known in the local hotel industry. Her career began in Hairdressing and working in a number of successful Ballarat salons. She has also owned and operated family businesses including a General store to recently co- owners of the Star Bar & Café & Motel (now Seymours on Lydiard) Christine has also worked in Corporate Sales for The Ballarat Turf Club and Ballarat 10X. Christine has an outstanding work ethic along with a caring and courteous manner. She provides her clients with old fashioned service and communication, honesty and expertise, along with knowledge required when negotiating skills are needed to guarantee a successful sale. Her passion and motivation along with her enthusiasm is infectious, and guarantees she will bring all of the above and more, to the industry by providing a transparent and honest service. Her philosophy is always to put her clients first, and this is even more important when dealing with clients who are probably going to make one of the biggest decisions of their lives! Christine has chosen to her new career with Harcourts because of the strength of the Harcourt Brand, Superior Business & Information Systems, Proven Marketing tools and strategies, and of course the most important one, incredibly talented, skilled and committed people just like her! Christine has already shown outstanding results and has been ranked within the top 20 agents for Harcourts in Victoria. Christine was proud to be involved in the sale of one of Ballarats property icons, ‘Kryal Castle’. This not only confirms Christine has embraced her career in the Industry by achieving outstanding results, but ensures she will guarantee getting the best results for your home too. Christine has fast established herself as the Lake Gardens area specialist and as part of a successful and award winning team of dedicated sales, property management and administrative professionals, she will certainly exceed your expectations every time. Contact Christine today on 0407 590 085. After over 12 months experience in the Property Management department, Dean has made an easy transition to Sales and is now working as a Rural/Lifestyle agent where he joins Tim Menz to help service and grow the already successful department. Dean's experience in property management means that he has a great understanding of all aspects of the industry and demonstrates the ability to confidently and effectively communicate to ensure smooth and successful results. At 25 years of age he has an enthusiastic and energetic approach to his role and strives to make each and every interaction with his clients a positive one. Dean purchased his first home at the age of 21 and prior to joining Harcourts and spent 5 years employed by IBM after finishing year 12. He has a Certificate IV in Fitness, which ensures he is ready to operate at a high standard to endure the pressures and challenges of working in such a fast paced industry as Real Estate. In his spare time, when he's not working or exercising, Dean loves nothing more than to take his motorcycle out on the open road for a long ride. 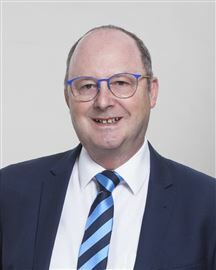 With a previous professional background having held senior management roles in Healthcare and Information Technology, Dean Parish recently joined Harcourts Real Estate as a Sales Consultant, an achievement that finds him happily in the midst of a dynamic and high-achieving team. A natural leader, Dean is energetic, passionate, committed and determined to succeed – both for himself and for his clients. Already armed with real estate’s requisite communication, time-management and people skills, Dean is well-equipped to thrive in this fast-paced industry and achieve his goal of obtaining the best possible result for his clients. He’s honest, disciplined and hardworking, which all adds up to a strong work ethic that promises to serve him well in his burgeoning career. Dean understands that real estate is just as much about connecting with people as it is about selling property. He sees guiding clients through the campaign process and building genuine, long-term relationships as keys to his success. Dean provides his clients with exceptional customer service, especially when it comes to closing a sale and getting his vendors the best possible price for their properties! Dean’s professional background in IT allows him to leverage technology to the advantage of his clients. In his personal time he enjoys nothing more than camping holidays with his family, or keeping fit with his cycling, running, surfing & basketball sporting interests. Specialising in prestige property and with 20 years of valuable real estate knowledge, Jan is well experienced with the marketing and selling of real estate in all areas of Ballarat. Jan is well known for her attention to detail and care of every facet of a marketing campaign. She is also quite “expert” at identifying the right buyer for a property. Jan loves everything about living and working in Ballarat, and being a lover of the piano and all things opera, she appreciates the many arts and music theatre events Ballarat has to offer. Having made history as the very first wedding couple granted permission to be married in Ballarat's Botanical Gardens several years ago, Jan and her husband Geoff regularly enjoy spending time in Ballarat's beautiful gardens with their young grandchildren. You can be assured of 100% attention to detail when Jan is involved in your sale. Julie is a Creswick local who will deliver an outstanding service whether you are buying or selling through her friendly & outgoing manner & local market knowledge. She prides herself on her reputation & her motivating factors always come back to honesty, integrity & client satisfaction - all which are attested to within numerous client testimonials from happy customers. Julie's passion & enthusiasm for real estate are visible from the moment you meet her & she has a way of quickly making people feel at ease - this makes the sometimes stressful process of buying or selling smooth & easy. Her eye for detail will assist you in preparing & presenting your home for sale to gain the best possible result. Negotiating a deal is what Julie looks forward to & her skills have been highly tuned over the past 9 years in the real estate/housing sector & 18 years of sales experience. Julie understands real estate is not just about selling homes - it's about understanding people & their journey. She will guide you effortlessly through the process & answer any questions you may have, committing herself fully to her client’s needs. Initially employed in Real Estate six years ago in a reception and administrative position, a crucial position to any business, requiring a genuine interest in helping people, Lauren established her ambition to further her career and her dedication to the industry. “Working with people is something I’ve always loved. I was always taught the value of respecting and helping others and that is where my genuine love of engaging in volunteer work came from. I learnt to appreciate the importance of giving back to the community” Lauren is an energetic, ambitious person who has developed a mature and responsible approach to getting the job done and meeting client’s needs. Lauren understands that an investment property is one of the biggest assets you can have and she will ensure she managers your property with the utmost respect and professionalism. Lauren has the ability to keep calm in stressful situations and lets everyone she comes in contact with feel at ease, while always striving to exceed all customer expectations with her impressive work ethics. If you are looking for an honest, hardworking property manager to manage your investment, Lauren is the agent for you. Upon becoming qualified as a Childcare Provider, Robyn quickly established the fundamentals of customer relations in a career that spanned 15 years. Since discovering a love of real estate, Robyn has gained over 10 years’ experience working solely in Property Management and enjoying the aspect of successfully managing her Landlords Investment Properties whilst gaining the admiration and respect from her Industry colleagues & peers. Possessing a genuine passion for the Ballarat area and an excellent knowledge of its many attributes, Robyn’s enthusiasm for Ballarat Real Estate is infectious. With several investment properties herself, Robyn understands clearly the importance of an efficiently managed property, and has established a great rapport with her many clients over the past 10 years. Robyn maintains a constant flow of communication throughout any letting period or maintenance project that she is supervising. Her dedication, diligence and negotiating skills ensure the best possible results. The high level of referrals she receives is a testament to her achievements. 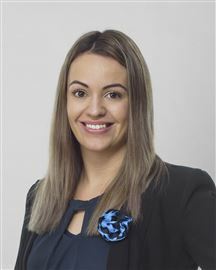 Samantha has been a part of the Harcourts Real Estate Group for more than 5 years, having gained experience in many different areas within the business. After successfully completing VCE, Samantha spent time working in the retail sector gaining valuable experience in customer service. 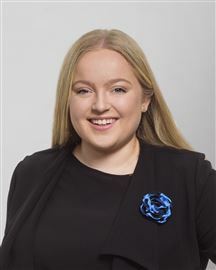 Samantha commenced her traineeship in Property Management and also spent 12 months as Jason Gigliotti’s personal assistant and receptionist for Harcourts Creswick which gave Samantha increased knowledge and awareness of the wider Harcourts cliental. 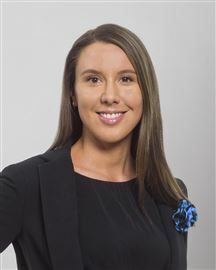 Samantha has completed her Certificate 4 in Property Services and after 12 months travelling around Australia she has returned to Harcourts to manage her own property portfolio. Samantha lives with her partner Jason on their lifestyle property on the outskirts of Ballarat, which they are currently renovating. With a sound knowledge of all Harcourts landlords, Samantha is a valuable asset to the property management department. 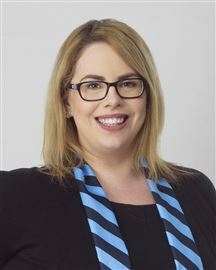 Harcourts Ballarat is proud to have Samantha as a part of its highly skilled Property Management Team. With 4 years’ experience in hospitality management, Chahli knows all too well what it takes to successfully multitask and organise in fast paced environments. Growing up in small town Creswick, Chahli attended Loreto College Ballarat where she graduated in 2012. After working full-time as a Team Leader at a local restaurant during her gap year, Chahli made the move to Melbourne. Whilst pursuing a modelling career with a prestigious Melbourne agency, she began work at a popular cafe on the side. It wasn’t long before Chahli was promoted to Assistant Manager and discovered her passion for business and customer service. Chahli is a bubbly and hard-working individual and loves her dynamic role as 'Media and Events Manager'. Outside of work, Chahli loves running, shopping and socialising with friends in addition to enjoying the occasional cheeky glass of white. Originally a Melbourne girl, Ellie’s background has always been in Real Estate, with her parents owning and operating Real Estate offices & Business Broking Firms in Melbourne throughout her childhood years. Upon completing her schooling at Tinterns Girls Grammar School in Ringwood, Ellie headed in a completely different direction than her siblings and graduated from the Melbourne Dance College with a Dance Diploma in Performing Arts and Teaching. With her passion for performing taking her all over the world, she also spent time dancing and performing on many Cruise Ships and in between travels gained experience in the hospitality industry. Ellie then took on a role in merchandise management for sporting events in both Melbourne and Overseas. However, the pull of real estate and the desire to settle back in Australia close to family, saw Ellie return to Melbourne briefly and then to Ballarat where she commenced in the Role of Property Manager at Gull & Co. 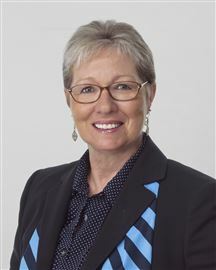 Her move to Harcourts occurred during early 2013 once the Gull Property Management Division was relocated to the Harcourts Group in Lydiard Street South. Ellie feels like a local, now that she has purchased property in Ballarat and has lived in the City for 7 years. 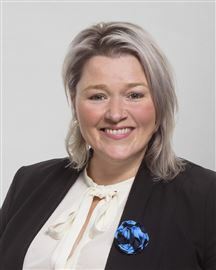 She has strong connections with the REIV, as her father is currently a Board Member of the Real Estate Institute of Victoria and she herself, has been elected to the position of Ballarat Regional Area Representative for Property Managers as their representation at management committee meetings at the REIV in Melbourne. Of course she still loves dancing and can often been seen pirouetting along the office corridor, but also enjoys the company of friends & family along with her pet dog, when she is not working or organising her next overseas travel holiday! Ballarat born and raised, ex hairdresser Matt Holton has always had a passion for the property market which saw him change career directions. 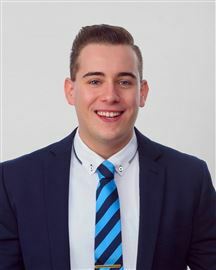 With an insatiable appetite for learning, Matt has proved his diversity by working in practically every department and role within the business, therefore proving to be an all-rounder and after managing the Accounts & Administration area for over 12 months, he then took on a full time role within the Property Management department as a Leasing Agent and Administrator. His current role is to manage all areas of Administration relating to Tenants & Landlords and regularly assists business owners in an office management role. With well adjusted communication skills, coupled with the determination and positive attitude you’d expect of a top athlete, Matt’s work ethic is exemplary and he regularly needs to be told to ‘go home’ for a rest. Displaying loads of talent and ambition, Matt has the ability to undertake high calibre tasks within the business, considered well beyond his years & his experience. He continually takes extreme pride in everything he undertakes, and, completes all tasks to the highest of standards. Matt still enjoys living in his hometown of Ballarat and loves to keep fit which finds him exercising in his spare time when not at the office. You may also spot him regularly running around Lake Wendouree on a sunny day. Matt enjoys a very active social life and loves a great wine or two. Oh, and to add to that, he’s an IT Whiz as well!! Having joined Harcourts over four years ago, Tayla brings to her role experience, efficiency and dedication. She has become proficient with all Harcourts software, procedures and branding requirements, and is a true asset to the company. She is responsible for the day to day management and marketing of properties listed for sale and is a quiet achiever who has learnt how to manage her time whilst prioritizing tasks extremely well. An absolute necessity when assisting 12 busy Sales Agents. When she's not in the office, Tayla loves nothing more than spending time with her family camping and fishing. Walking Distance to the Lake! Great Price, Get in Quick! Sold with a Great Result!